But we can't recommend the second and less-expensive new model. August Home is now an old-timer in the smart lock field, with more than five years of history devoted to a single product category. And at long last, August has released the third generation of its flagship product: the August Smart Lock Pro. We encountered a (known) issue during the Pro lock setup, and also encountered quite a few hiccups with the app during our pre-release testing. These settled down (though they didn't vanish completely) after the updated app's formal release. The new August Smart Lock Pro now supports Wi-Fi, HomeKit, Bluetooth, and Z-Wave Plus. Editors' note: August announced an update to its Alexa skill on May 10, 2018. If you also own the August Doorbell Cam and an Amazon Echo with a display (either the Echo Show or the Echo Spot), you'll be able to unlock your August smart lock with a voice command that includes a PIN while you're watching the video feed from the doorbell camera on the Echo's display. The company had previously announced an Alexa skill that allowed you to lock its smart deadbolts with voice commands. 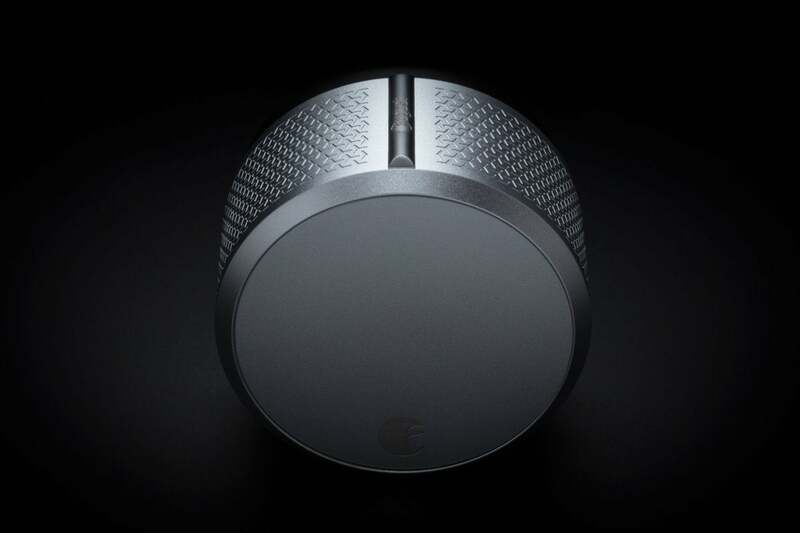 Let’s start with the big gun, the new August Smart Lock Pro, which has a near-identical design to the original August lock, a silvery hockey puck that is decidedly contemporary in design. The significant change is that the August Connect—a separate device that bridges the Bluetooth-only lock to your Wi-Fi network and myriad smart home hubs, including Alexa and Wink—is now included in the box and does not have to be purchased separately. While that’s handy, it remains disappointing that August didn’t integrate the Connect directly into the lock itself. Instead, the Connect device, which hasn’t changed, must still be permanently plugged in to a nearby electrical outlet. 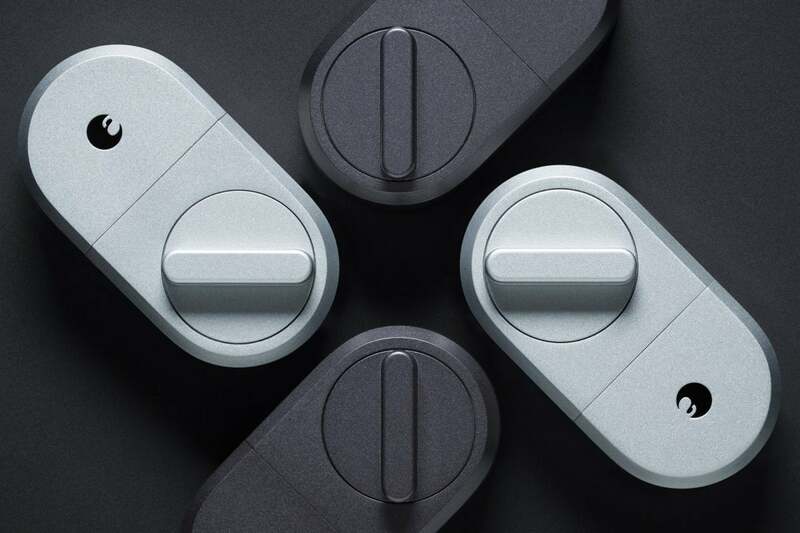 One of the biggest issues with all smart locks is that while the lock may know if it is engaged or not, it doesn’t necessarily know whether the door is open or closed. August has attempted to remedy this by the inclusion of DoorSense, which is designed to tell August whether the door is ajar or not. 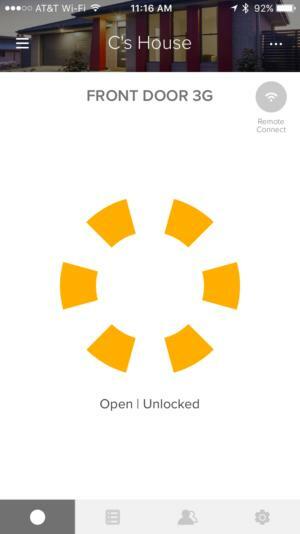 The primary benefit here is found if you turn on auto-locking, in which a timer automatically engages the lock after it’s been unlocked for a certain amount of time. With DoorSense, the auto-lock won’t engage if the door has been left open. In fact, the app updates to show you that the door’s ajar, too, which can be very handy on its own. The August Smart Lock Pro now comes bundled with the August Connect Wi-Fi Bridge. DoorSense unfortunately requires extra hardware in the form of a magnetic sensor that attaches to the door and must be placed adjacent to the lock. If mounted externally, this is a real eyesore on the door jamb. Alternatively, you can hollow out the jamb and embed the sensor inside it, but this may be asking a lot of a homeowner who in all likelihood choose August because he didn’t want to deal with drilling holes in his walls. Once calibrated, DoorSense mostly worked well, both indicating the door status through the app and suspending auto-locks until the door was closed. While the app crashed repeatedly during DoorSense configuration and sometimes reported the wrong door status (ultimately requiring recalibration), again I will chalk these issues up as beta growing pains for now. he new August locks can now tell you not just whether the lock is engaged, but if the door is ajar. Other tweaks have given August a further leg up on the competition. Installation is smoother than ever and guided by video clips in the app, the app is easy to use and keeps meticulous records of lock access, and the owner has infinite control over how additional keys are given out, with fine-grained control over access times and the ability to set keys that expire. The auto-locking system that engages after you wander 200 meters away from your house also works fine, and is arguably more reliable with DoorSense in the mix. I didn’t encounter any lock jams during my testing either, a problem that was common in my 2nd Generation testing. The August Pro is still one of the most expensive retrofit locks on the market, but the company has done a great job of making improvements since the 2nd Generation—this new model supports Wi-Fi, HomeKit, Bluetooth, and Z-Wave Plus. And when sold with the Connect as a kit, the total price has come down a bit. My bottom line recommendation remains: If you’re retrofitting, you won’t find a better choice than the August Smart Lock Pro. 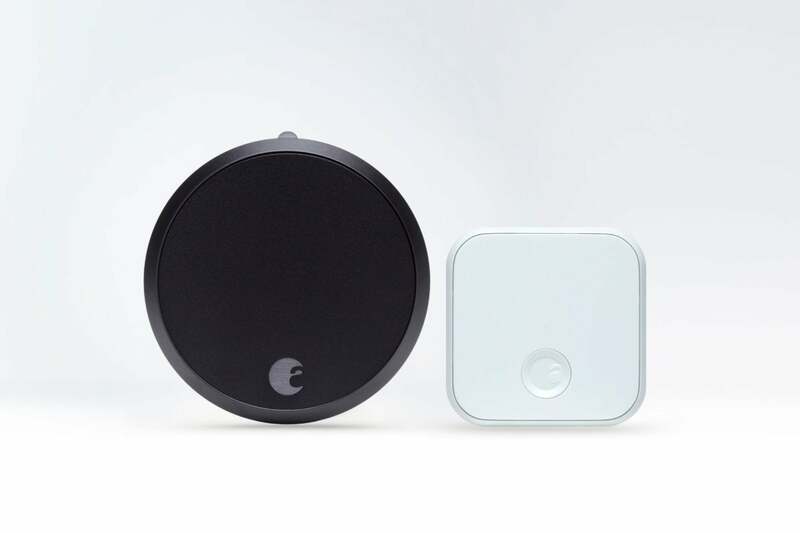 And now for something completely different: Introducing the new third-generation version of the entry-level August Smart Lock. That classy hockey puck design from Yves Behar? Gone. In its stead, find a more traditional lock with a classic thumb turn built, as August says, to be “more accessible” and, yes, considerably cheaper. It’s certainly not much in the looks department, but at just $149, it’s almost half the price of the Smart Lock Pro. Aside from the design changes, a lot has been stripped from this version of the lock. It’s a straight Bluetooth lock without HomeKit support. You can get support for Alexa and Google Assistant, but only if you buy the separate $79 August Connect Wi-Fi bridge. The new less-expensive August Smart Lock has a more traditional look and feel than the original. Beyond those changes, it is designed to work very much the same way as other August locks. It uses the same app, physical installation is nearly identical to that of the August Pro, and operationally it supports the same features, including DoorSense, auto-locking and unlocking, key assignments, and the detailed history log. Unfortunately, as easy as the Smart Lock Pro (and 2nd generation Smart Lock) is to work with, the 3rd generation still has some kinks in the system. While installation is easy—almost identical to the Pro setup—I encountered some serious issues setting up locks during the beta period. To get things working, I ended up nuking my existing August account, calling August tech support to aid with a remote factory reset of the lock, and starting setup from scratch. This eventually got things going, but only after literal days of troubleshooting. Once the final version of the app was released, I factory-reset the lock and tried setting it up again. Some hiccups remained; namely, the app stalled while trying to register the lock, a problem I had encountered previously, and required a second attempt to connect in order to get things going. In operation, the lock is considerably noisier than the Pro lock, and it’s decidedly homelier in appearance. It may be easier for some users, like small children, to operate the thumb turn than the larger cylindrical mechanism on the Pro lock, but I suspect that will be a minority opinion. While the remaining software problems are not significant, the lock itself is ultimately immature, it's plaintive whine during operating is a disconcerting sign that something still isn't quite right with it. Unlike the mature Pro, the revamped design of the standard August Smart Lock still needs some work. Editors' note, 9/21/2017: Our initial review, conducted just days before product launch, was based on beta software. August provided us with the final software shortly after our review was published and we took a second look. 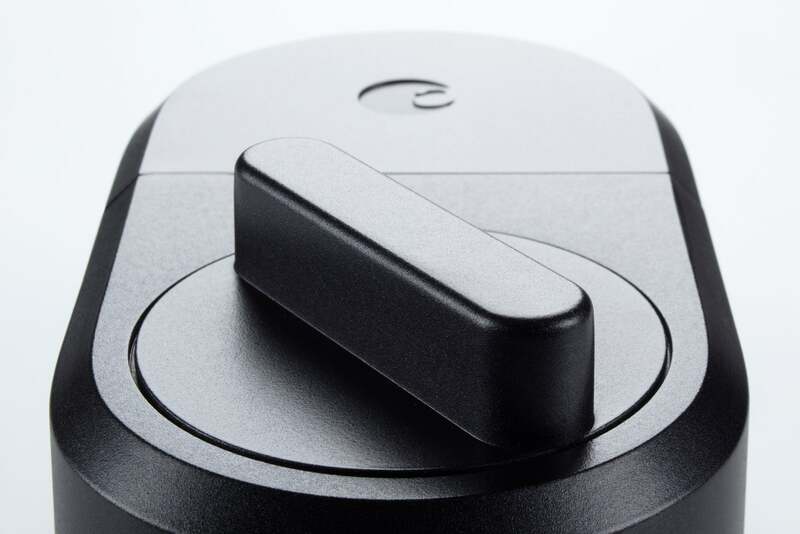 Our positive opinion of the August Smart Lock Pro remains. Our opinion of the less-expensive August Smart Lock 3rd Generation has improved mildly, enough to increase its score from a 2.0 to a 2.5. The Yves Behar-designed August still looks great, and it packs in more features than ever. This budget retrofit lock ditches the high-end design. It's not the polished product that it's more expensive cousin is.